As the Sunnies Face fever continues to linger, we sit down with Eric Dee Jr., the main man of Sunnies Studios and the lone wolf of the Sunnies Face expedition where he talks about everything from myths debunked, lessons learned and the future of the beauty brand that the ladies simply cannot get enough of. “Are we ready?” Georgina asked prior to the by-the-second countdown to the official launch of the Sunnies Face website. “There will be no crashing?” she furthers, obviously a playful tease laced into the narrative. They were prepared, of course. Eric nods positively and they all smile. A few quick minutes after the celebratory toast was clinked on the pink-bathed stage and the canon of confetti was fired up, Eric Dee Jr. stepped out of the frame to retreat. The reason then? Completely unknown. 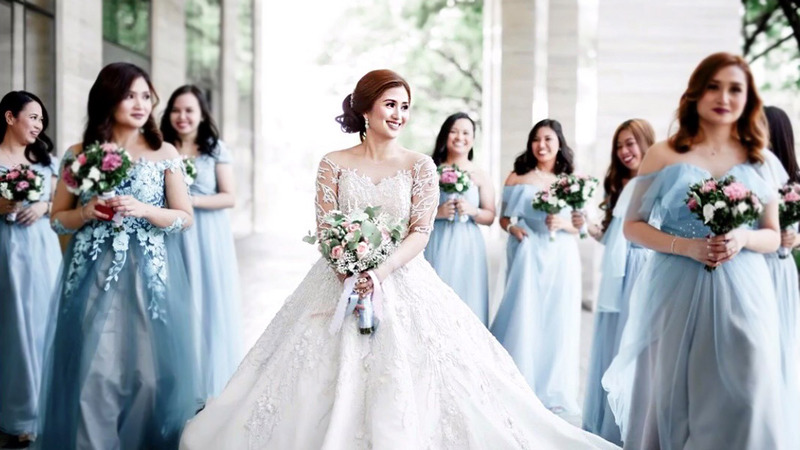 Perhaps he was just a little too shy to be under the spotlight for so long, or he was deferring the moment to his team of super women, which includes his wife, Bea Soriano-Dee, Martine Cajucom, Jess Wilson and Georgina Wilson. However, as the night progressed and the currency of cheer and euphoria was being passed along in exponents, we found Eric sitting by the window, his face illuminated by the light of his phone. His wife joins him not too long after and together, they huddle over the light. An offshoot of the unprecedented success of the Sunnies Face launch, a veritable buzzword on everyone’s lips (literally and figuratively), the website did in fact crash and best of all, the Fluffmates old out 15 exact minutes after its official introduction the tips of the public’s fingers. It was a problem that they were quick to troubleshoot on ground, but unlike most problems, this was a good one to have. Being on top of this was Eric Dee Jr., the brand’s only male lead, who prior to this had very little first-hand know-how on the intricacies of the very specific beauty segment. What he does very is that he knows how to run a business. And by running, we mean, run it really well as the Finance Director. (That’s ka-ching, if you didn’t already get the drift.) So, while the rest of the ladies were all agog and hands-on on the dream that was Sunnies Face, and we use the past tense because it is now a reality, Eric holds down the fort, proving to be a formidable equalizer and a voice of reason when it gets a little too crazy during their meetings. By now, everything we know about the epic Sunnies Face launch, its critically acclaimed formulation and colors, as well as the kilometric lines at their brick and mortar stores in Glorietta and UP Town Center, is practically canon or gospel truth if you’re religious. It’s an astounding victory for everyone, but while we practically know a lot by now, there is still that a void in the narrative. We haven’t quite heard what Eric Dee Jr. has to say—until now. Amidst all the crazy, the business day-to-day and keeping up with his own family, we sit down with the main man of Sunnies Studios and the lone wolf of the Sunnies Face expedition where he talks about everything from myths debunked, lessons learned and the future of the beauty brand that is all the rage with ladies. What was the biggest misconception about makeup or beauty that was debunked during the process of developing Sunnies Face? The biggest misconception we discovered was that you can only achieve quality in makeup at a certain price point. When we started developing Sunnies Face, our only goal was to bring the best of the best to our customers at a price that feels right. Did you ever anticipate that Sunnies would grow and branch out, and eventually thrive into the lifestyle that it is today? How does it feel to see the brand become what it is now? A lifestyle brand has always been the vision from the very beginning. How do we bring our expertise–a combination of great design, attention to color, and accessibility – to different markets? Bit by bit, brand by brand, we’re realizing our dream and it feels amazing. What was going through your head 15 minutes after the Sunnies Face website officially launched and it crashed because of the demand? Did you anticipate that circumstance? The crash was very unexpected. Our web team has been working for months; the weekly stress tests and web dev sessions couldn’t have prepared us for the amount of interest Sunnies Face generated. 15 minutes after the launch we were clocking in as much as 2,500 unique visitors per second. It was crazy and we’re very thankful to all our customers and supporters. How is it like being the only man in all-girl team and in an industry that is so separate from your own interests? What is it like being the sole male voice in this female-led endeavor? Opening new markets is always interesting for me. Regardless of gender, we each bring a unique perspective and skill set to every endeavor – at the end of the day, our teamwork (and with the help of our incredible team) is where the magic happens for Sunnies Studios. What is it like working with friends, family and yes, your wife in a business like this? What is your advice for people who want to go into the same professional set-up? If I didn’t work with my wife, I probably wouldn’t see her as often. (Laughs) If you have the opportunity, I would say go for it. What is your specific role and scope of responsibilities with Sunnies Face? What does it feel like seeing Sunnies Face become a reality, especially with the reception it has been getting? It’s been a dream for Bea, Martine and Georgina even before we started Sunnies Studios. And now with Jess as our newest addition–I’m thankful for all the support but also, I’m excited because Sunnies Face is just beginning. What Fluffmate shade do you like Bea wearing? I like whatever she likes. She looks great in every shade (as will anyone). What is your personal definition or standard of beauty in this day and age? We made Sunnies Face on the idea that makeup shouldn’t conceal the real you, it should just highlight the best parts of you. Our standard of beauty is really that, it should be beauty that gets you. Where do you want to see Sunnies Face in the next year or so? How do you want the brand to grow locally and globally? What else can we expect from Sunnies Face? Locally, we want Sunnies Face to stay true to the Sunnies Studios DNA – it’s quality AND accessibility. We want Sunnies Face to come to you, wherever you are in the country. Stay tuned because like we’ve said, we’re only just at the beginning.